It sounds like two new dwarfs, doesn't it? Gloomy and Ouchy. It's really just a summation of my day. It's been a gray, gloomy day with rain off and on, and thunderstorms that started about an hour ago. 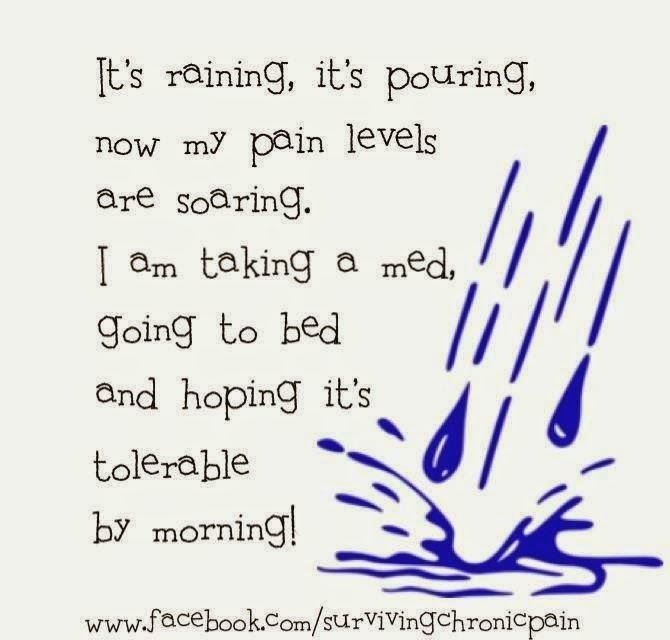 And that's a partial cause of the ouchy; fibro and rain never were a good combination. It was slow at work today. The entertainment was provided by a crew from Bardstown, of all places, who assembled our new vault. It came in big pieces of steel-reinforced concrete that were put in place and welded one by one. When I left they had all of it assembled and were hanging the vault door. Framing should start next. It had to wait on the vault, since each piece had to be put in place by crane. It was fascinating to watch. I got some good pictures of the process. I'm taking my aching body off to bed early tonight. I looked as bad as I felt today - the people at work could tell I was hurting. I hope to look and feel better in the morning. If you can drop by tonight, I'd really love a long cuddle with you. Everything always felt better when your arms were around me. Dog paws just don't have the same effect. We'd all love to see you tonight.